As a spray tan artist, I pride myself on providing streak free, no orange tans to my clients. For a special occasion, I always recommend to my clients and friends that a professional spray tan is a way. Sometimes it’s not that easy and you need a solution that will work with your on the go lifestyle. This has become more evident to me with this current wedding season. Many of my friends have been coming to me with the same dilemma. I’m going out of town and I need my tan to last longer. So I’ve been on a mission to help them and find answers. Along the way, I’ve come across products that had fabulous instant coverage but was a little sparkly and washed completely off in the shower. Which also means that it rubbed all over my clothes and on everything I touched, including my couch and desk. Yuck! Some products have so much alcohol in them they actually dehydrated my skin which made my tan fade even faster! The difference you can see and smell. Unlike lotions, it sprays on and you can control the coverage. Made with Certified Organic Ingredients. No alcohol or parabens. Instantly covers with bronzer while DHA is working its magic. Why I’m loving it. It’s healthy, safe and can make you look beautiful, duh no brainer! I use it after my sunless tan has begun to fade. I have noticed on myself that my legs will stay tan much longer than my arms. This is an issue for me since my arms are my main concern. Now I can simply spray this on after I get out of the shower, before any lotion! I wait a few minutes, speed up drying time by using your hair dryer. Then for any spots that I have over sprayed and I can see some drip marks I use a tanning lotion with bronzer in a circular motion to even it all out. Let’s get real, most people can’t spray themselves using both their left and right hands evenly, I’m no exception. It’s very difficult but using these products I had flawless results, even my first time. We estimate that one spray tan and one Classic Can will give you a consistent beautiful tan for about 2 weeks!! Whether you acquired your tan from a can, cream, booth or spray tan artist one thing is for certain. IT WILL FADE. Fading has less to do with the application method and much more to do with your skins natural shedding process. The top layer of skin, which is what has been affected from the DHA in your sunless solutions, sheds naturally and sometimes unevenly. But have no fear there are a few steps you can take to get the most out of your glow. Below is some practical advice from a gal who has tried and seen it all. Don’t shower!! Wait as long as you can to shower after DHA has been applied. It can take up to 24hrs to fully take effect. I recommend to my clients to wait at least 12 hours before getting wet. In 12-24hrs after the tan, feel free to shower. Use a mild or moisturizing soap. Do not scrub your skin. This is not the time to exfoliate. Your new goal is to keep the skin you have on as long as you can while maintaining a healthy glow. Moisturize. I can’t emphasize this enough. Use a daily moisturizer all over you skin, you need to do this at least daily. If you can do it twice a day you are a super star. Use a sunless tanning cream that has moisturizers and DHA in it. If you were sprayed by a professional, ask them what they recommend. Or send me a message and I’ll be happy to recommend some products to you based on your skin type. Drink water. Sounds silly but it works. It’s really great for the skin. Take this advice and you will extend the life and luster of your spray tan. The last thing you want is to fade in noticeable places and look fake. The above recommendations are suggestions to help. Who else has some tips out there? This episode of The Doctors, aired on May 14th, shows the before and after effects of quality airbrush equipment and solutions. I am not a doctor and this is for information purposes only. Always consult your own personal doctor before using prescription medication or taking medical advice. After her spray tan model has no orange hue and looks healthy and natural. This is the type of tan that BronzedBerry provides it’s clients. It is important that you remain a natural color. I had mixed oppinions of this video. The model was able to show the before and after effects of an instant airbrush spray tan. One that was natural and healthy looking. However….the doctor who is being interviewed and quoted makes some pretty unrealistic claims that I would like to address. The anit-aging tan. He claims that the anti-aging properties in his solution come from the prescription drug, Retin A. This drug has been used to treat skin issues, such as acne. It has shown to also diminish the appearance of fines lines and wrinkles. Nothing I have ever read or could find would indicate that one application would yield a client improvements in their skin. My personal experience with beauty products has always been that to see long term effects of the product requires prolonged use of that product. The doctor in this video does not go into such detail. My assumption is that you would need this treatment multiple times to see any kind of effect. He also claims that his spray tan will last 10-20 days. This is something that I would like to challenge. Again I am not a doctor but DHA, the active ingredient in spray tanning solutions only penetrates the top layer of the epidermis (skin). This part of your skin naturally falls off about every 5-10 days. So if the active ingredient in his solution is DHA it would seem impossible for it to last as long as his claim. I suppose it’s possible that the combination of DHA and Retin A could actually penetrate deeper into the epidermis and you could see longer results. This is unknown to me. What I can say is that BronzedBerry offers, natural and organic solutions to provide our clients withe the safest sunless tanning on the market. It’s great to see inivators comign out and testing our limits but until there is more evidence that this type of treatment is helpful and safe we’ll have to wait. Worth noting I have heard that Retin A makes your skin very sensitive to sun so if you are using it or have gone to a place that has provided a treatment like described in the video, please consult your dermatologist about recommended sun exposure. Check out the video of The Doctors t.v. show letting us in on some new Beverly Hills style anit-aging spray tanning. Check out Amie Decker Makeup’s beautiful brides. Each bride has something uniquely beautiful about them. I’m not sure if any of these women tanned or spray tanned before their big day but what I can say is each of them look gorgeous. Every women should and can look glamorous and beautiful. They way our skin looks plays a large role in our self esteem. 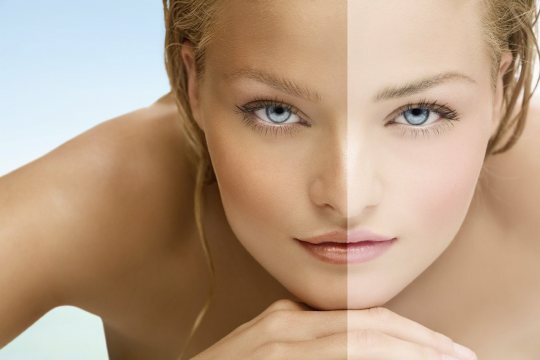 Sunless airbrush spray tanning can give you an exceptionally natural glow for your perfect day. Just launched!! BronzedBerry in D.C., Maryland and Virginia. Get instantly glamorous with a customized organic airbrush spray tan…in your own home or office! Email or call 443-864-2204 to schedule a party. For your most important and special days…look as glamorous as you feel.